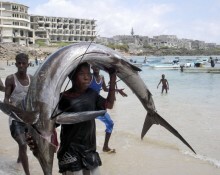 In part because Somalia has 3,025 kilometers of coastline, fishing was a sector with excellent economic potential. . 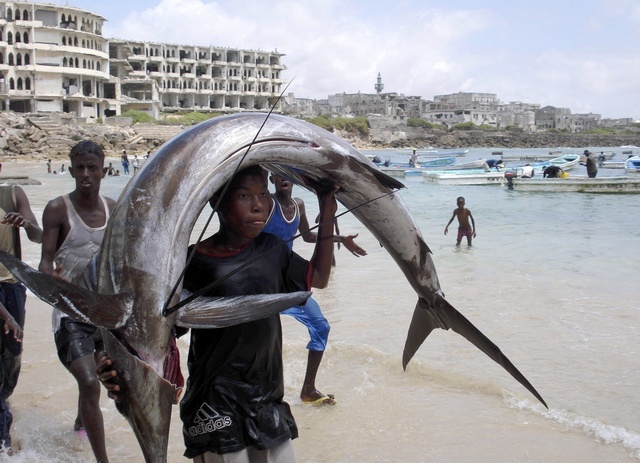 Fishing cooperatives in Somalia were first introduced as legal entities by the then military government, as part of the response, to rehabilitate drought stricken Somalis; mainly nomads, during the 1974—1975 devastating drought which engulfed most of Somalia. The cooperatives thus established were turn-key operations undertaken by the government: provision of all capital, selection of fishermen and training. But the cooperatives were public entities in which all workers were paid salaries, and therefore, no element of ownership by them was involved. Hardly were the cooperatives conforming to the generally understood meaning of cooperatives. With the advent of the civil war in Somalia from 1990, however, the situation developed into owner-operated fishing boats. In addition, the management of the Bank is exploring the possibilities of funding the initial capital of SDB, and has to this effect made representations to the government and outside donor agencies. In anticipation of this, in the meantime, SDB has taken first steps to compile a pipeline/portfolio of fundable projects with a view to commence operations as soon as funds are available with SDB for this purpose. This fishing project appraisal is being prepared by SDB for its first Loan to two existing fishing cooperatives in Mogadishu: Namely, Alla’amin and Dan-kulmis, respectively, in Hamerwein and Abdul-aziz districts. The cooperatives comprise some 200(two hundred) owners operated fishing Boats; unformally organized among themselves for unformalized but real mutual assistance as circumstances arise. They are also sharing marketing functions such as landing and cleaning facilities provided by Mogadishu Municipality for a fee. However, the present cooperatives are in the process of legalizing their status with the ministry of fisheries, as officially recognized cooperative entities. The list of participants and legal provisions by the Ministry of Fisheries will be attached as an integral part of the project report when they become available and prior to a loan grant by SDB.